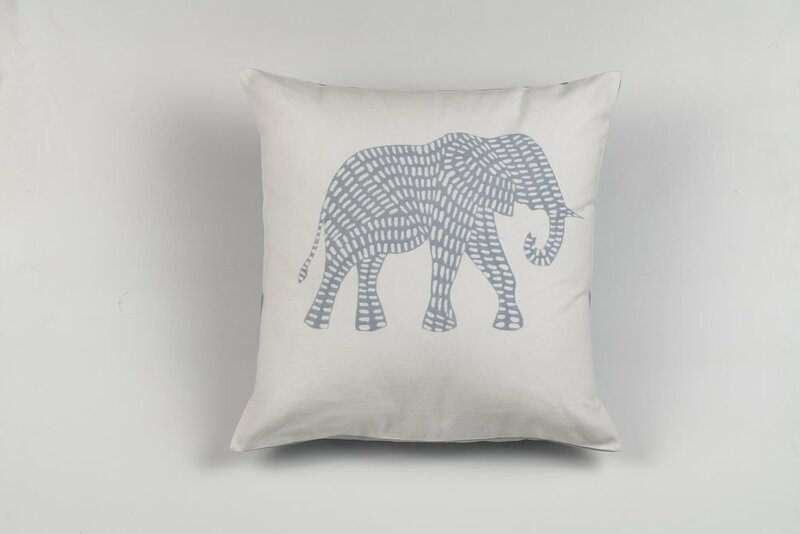 Your furniture and room will thank you for adorning it with such fun pillows showcasing a favorite safari animal - the elephant. 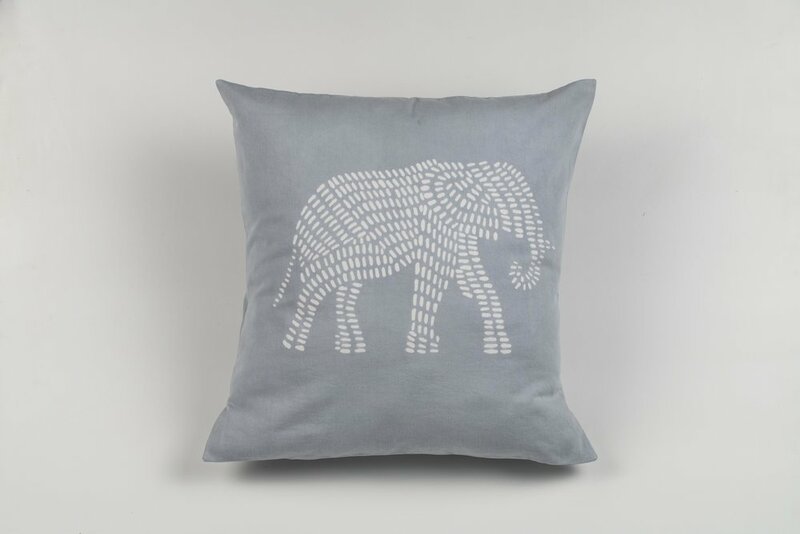 Each pillow cover is hand-batiked using a multi-step process by trained women artisans. Once the cotton sheets are batiked, they are hung on a clothesline to dry in the warm African sun. The final steps include cutting and sewing each cushion cover.